Terry Manning is best known as an engineer and producer who spent the ‘60s and ‘70s in Memphis working for Ardent and Stax Studios on some of that city’s most important records, from Isaac Hayes to Big Star. In 1970 he cut the album Home, Sweet Home and it was released on the Stax subsidiary, Enterprise. 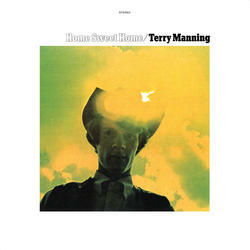 Originally intended as a joke project, Home, Sweet Home is now a highly regarded and collectible LP, praised for its innovative studio trickery and Manning’s offbeat arrangements, especially the epic opening 10-minute version of George Harrison’s “Savoy Truffle”. A Memphis rock classic reissued on 180 gram vinyl in a deluxe tip-on jacket.